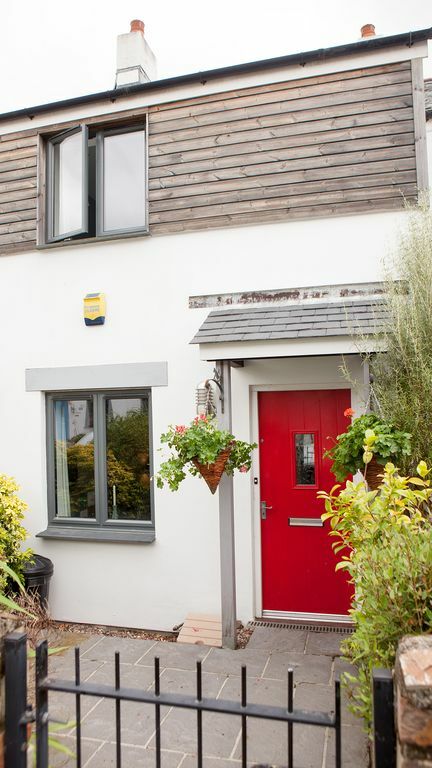 This delightfully presented modern cottage is perfect for families or couples, as it is situated close to a host of attractions in this historic part of Cornwall. An 8 minute walk to two beaches, the harbour, restaurants and pubs. Sleeps 4. There is a patio area and outdoor furniture. A beautifully unspoilt Georgian harbour town and working port, Charlestown is a captivating piece of history. The port and village of Charlestown was named after landowner and entrepreneur Charles Rashleigh. It was built between 1790 and 1810 to provide a safe, deep water facility for local fishermen, and the traders in copper ore and china clay from the mines in the nearby St. Austell area. The Charlestown Shipwreck and Heritage Centre has many exhibits detailing the seafaring history of the port. Today Charlestown is a designated World Heritage site. The harbour is Grade II listed and a prime example of a late Georgian working port and has provided permanent moorings for 3 tall ships. Although, no longer permanent, the tall ships still frequent the harbour. Popular with film directors, Charlestown has featured in many films including The Eagle Has Landed, The Three Musketeers, Poldark and even Doctor Who. A selection of craft shops and galleries are scattered throughout Charlestown. During holiday season there are plenty of ice cream opportunities with the Tall Ships Creamery based next to the harbour and old weighbridge. Fine homemade Cornish produce – not just ice cream, fudge and sweets too. There are lots of places to have coffee and cream teas – Charlies, T'Gallant, & The Boathouse. The Galley Pasty Shack near the harbour is a great place to pick up a pasty or fresh crab or crayfish-tail sandwiches to take down on to the beach. The Pier House Hotel and Restaurant, The Rashleigh and Harbourside pubs are family friendly and serve local ale and delicious food overlooking the beautiful harbour and its ships all year round. Wreckers restaurant specialises in locally-caught fish, while Austell’s in Carlyon Bay offers a more diverse and elegant menu. The Boathouse offers more relaxed dining for lunch, afternoon tea or an evening meal. The Bosun's Locker is above the Shipwreck Centre and is a family friendly eatery. Tesco and Asda are within approx 1.5 miles of No.34. Polkyth Leisure Centre close-by in St Austell offers an indoor pool with lots of family open times during the school holidays. Charlestown Health and Beauty Salon is in the centre of Charlestown, offering a full range of Clarins' treatments. Charlestown has an annual fun regatta in the summer, as do Fowey and Falmouth nearby – both of whom generally have a visit from the Red Arrows. Top attractions nearby include: The Eden Project. Heligan Gardens. Fowey – the home of Daphne Du Maurier. Mevagissey. 35 minutes to the North coast for award -winning world champion status surf beaches - and body-boarding too. Polkerris – wonderful watersports beach. Charlestown Shipwreck & Heritage Centre. Bike trails and cycle hire. Coast path walks. Sailing. Windsurfing. Kayaking. Outside: Enclosed and private garden with patio, with garden furniture. Charlestown has two beaches (8 mins walk from No.34) one either side of the harbour, with rock pools when the tide is out which are perfect for the pursuit of crabs and fish, or you can take the coastal footpath to Porthpean (or drive approx. 1.5 miles by car). Porthpean is a sandy beach, safe, sheltered and popular with families. With an array of water sports available, it is a great activity beach. Cleaned daily during the summer season and offering public toilets, a cafe and disabled access. In Cornwall it is best to have a car for exploring the county. Exeter Airport is approx. 81 miles. Please see linked website for details of local attractions. Please see linked website for information regarding local eateries, pubs and leisure activities.